Looking for a quick dinner idea? 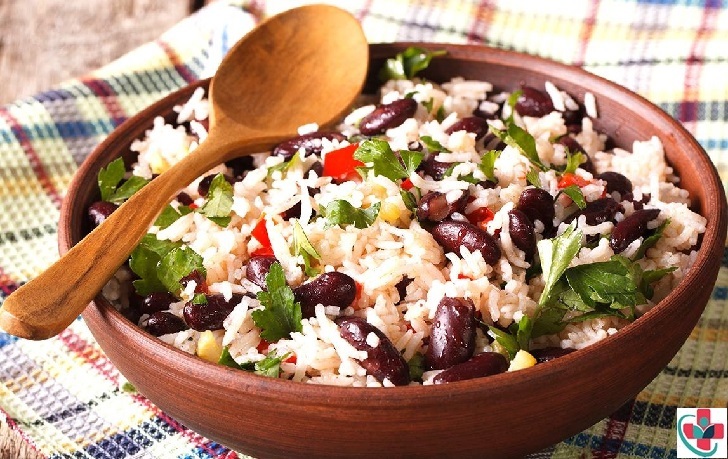 This rice and beans mix will have you saying yummy in no time!! Rice and beans make for the ultimate budget meal — especially if you cook dried beans from scratch — but that doesn't mean your dinner has to be boring. This combination can be cooked up in a variety of ways that manage to be satisfying and tasty, without breaking the bank. Heat the oil in a large nonstick pan over medium heat. Add red onions and bell peppers, saute for 3-5 minutes or until tender. Add garlic, paprika, and cumin, saute for 30 more seconds. Add rice and fry for a few seconds. Add beans, and hot water, bring to a boil. Reduce heat to the lowest level and simmer, covered, for approximately 20 minutes or until rice is tender. Remove from heat and let sit, covered, for 5 minutes. Stir in unsalted butter to melt and season with salt and pepper to taste. Stir in lime juice and coriander.